Dr. Berry grew up in Albany and received his bachelor’s degree from the University of Oregon. He then attended school at Pacific University where he obtained his Doctor of Optometry degree, graduating with distinction. Dr. Berry has been involved in sports vision and contact lens research, and has traveled abroad to provide vision care to those less fortunate. 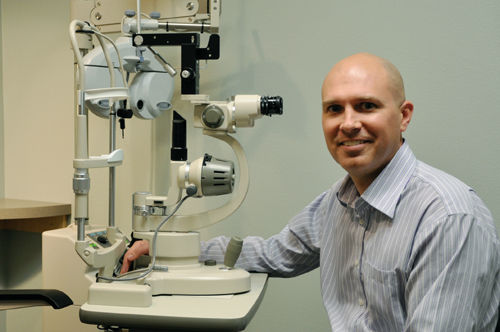 Dr. Berry completed internships at Spokane VA hospital, Kaiser Permanente clinics, and Teplick Laser Vision Center.